Superman is engaged in a dialogue with Tempus, the timeless mind. While he does this, the League, scattered across time, begin their respective movements towards handling their respective situations. Tempus informs Superman that this scene and the coming calamity, is all because of him, a fact that Superman informs Tempus he intends to rectify. 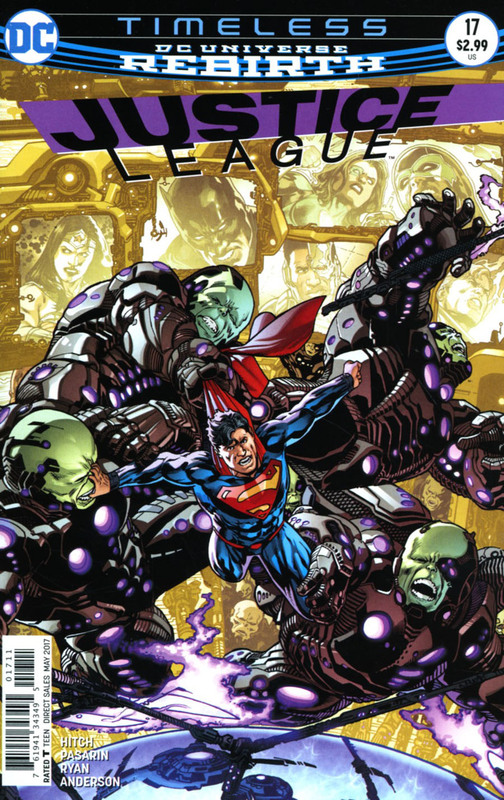 The rest of the League take a back seat to Superman this month, which is just fine with this critic, as Superman is the draw for Justice League, as Flash, Wonder Woman, or Green Lantern may be for another. 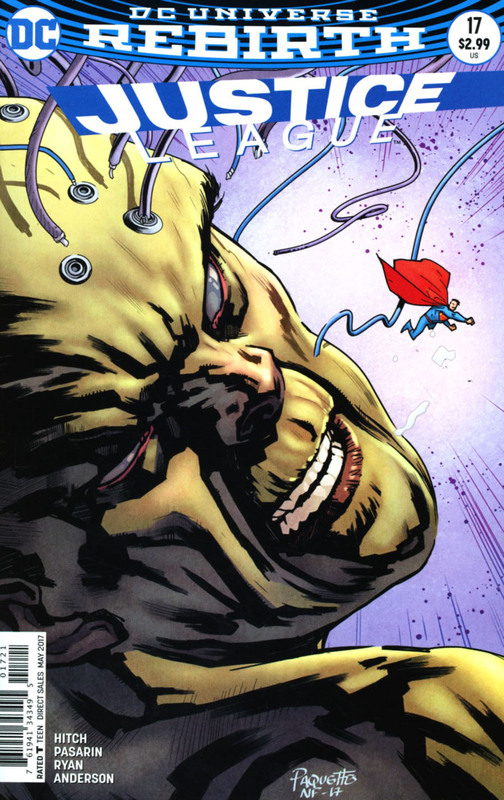 Cyborg's conversation with Brainiac 5 stands out as entertaining, primarily as Brainy comes across as younger and more precocious than normally, a la a kid as opposed to a teenager, making Cyborg seem more adult and antiquated, which he is in this instance. Wonder Woman lending herself to the fundamental Greek myths is completely unappetizing, for if they need her power to unseat Chronos, how could their power be of any benefit to her in the future, particularly as she is fighting beside her father (at least he was when I last checked). The aforesaid aside, Superman's role is the focus, as he not only confronts the antagonist, but is the villain of the piece, for the adversary as well. Something is going on, something large and voluminous that involves the DC Universe, and Superman, rightfully is at the centre of it. However, it is with caution that readers should approach this fact, whether one is supportive of the revelation or not. I quoted Superman above because too many times (Geoff Johns is the biggest offender) Superman speaks loud, and performs so very softly. The fact that Batman has determined that he will have to go and secure Superman makes me feel that the quote is just going to be empty words. However, it would be nice to see Superman back them up with something feat worthy, something dynamic, something that will make me and readers sit up and take notice when Superman says something akin to "This ends now!" Aside of that, the idea that Superman, and tinkering with him, Lois Lane, and those he is connected to, could leave the DC Universe in a state of disrepair is definitely an idea worth exploring. In reality, this happened in 1986, and the piper has come for his payment as of 2011. He is still waiting. Art - 4: I'm torn between the exceptional effect on Superman's hair, which looks as it should, out of sorts from constant action, and the scowl on his face that is nearly comical. Cover Art - 3: We are officially on cover watch. The next one that is actually excellent, I'll dance a jig.